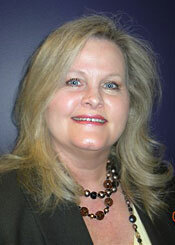 Sharon Roberts of Suite Solutions brings over 25 years of expertise to the customer service industry. More than 17 of those years were spent serving the corporate housing market, fulfilling various roles which give her a great understanding of simplifying both the sales and delivery process. She was instrumental in developing and nurturing one of the largest East Coast territories with her previous employer. Sharon prides herself on delivering unsurpassed service while fostering a family based environment for employees. Her commitment to ensuring employee satisfaction ultimately reflects on the type of service we are able to deliver to our clients. In the corporate housing industry, the substantial differentiator lies within creativity, flexibility and service. Sharon does not consider the company to be successful until we have achieved 100% guest satisfaction and is relentless in the pursuit of this goal.